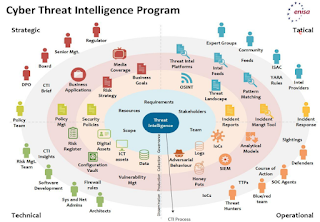 Does your organization and all your service providers have a Cyber Threat Intelligence (CTI) Program? In other words what is the ability of your organization and your service providers to prevent cyber attacks? 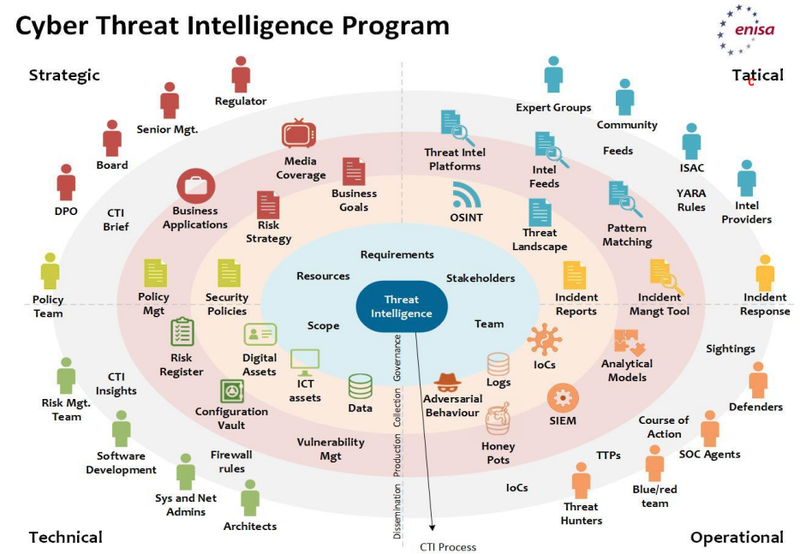 Despite the little typo, the The 2018 ENISA Threat Landscape Report outlined CTI program representation in the picture is a starting point to consider reading the rest of this document that coverages current threats and safeguards that you should consider when going through quantitative risk management. While we want security first and then compliance, both are as important. To achieve a high security maturity level we need to look at the strategy (compliance), tactics (ways to compile intelligence), operations (tooling), and technology (secure DevOps and SDLC practices). My series about secure translations is actually applicable to any kind of service providers but naturally, based on my current role, I am concerned about the impact of globalization in security and privacy. I am particularly concerned about the modus operandi practices currently being used by multiple top Language Service Providers (LSP). It is worrisome to see claims about security in LSP corporate websites that tend to deceive customers. For example the claim that they hold security reports and certifications pointing to the hosting providers they use. Let us make this clear, security is not reached because you ride on a mature hosting provider. Instead, security is a journey that an organization decides to make and that must cover internal strategic, tactical, operational and ultimately technical/logical areas. If you are an international organization executive you should be aware that the biggest cyber-risk faced by your organization lies on the fact that your LSP of choice cannot deliver secure translation services. All efforts around internationalization, localization, trans-creation and therefore globalization might be actually compromising your bottom line. "Learn math the way you'd learn anything, like riding a bicycle. Stay on that bicycle. Fall off that bicycle. Do it as long as necessary, until you have mastery. The traditional model, it penalizes you for experimentation and failure, but it does not expect mastery. We encourage you to experiment. We encourage you to fail. But we do expect mastery." If you think there are smart and dumb people you are simply wrong. All we, human beings, are smart, period. In fact we all are equally smart, period. What makes some of you look smarter than others is just the way we as society evaluate and measure intelligence. As it stands, society is plain wrong when it comes to measuring intelligence. This is an argument that I have so many times that I decided to write it down so that I can share it for the years to come, instead of repeating myself. We can all be prepared for the Fourth Industrial Revolution and for the industrial revolutions yet to come. We just need to stop teaching the way we teach. The learning pace of each individual is sacred and must be respected and applauded because the ones that are ahead could be behind soon. It all comes down to determination for mastery. The determination is affected by the society we live in which rewards the fast learner instead of mastery. The so called "gifted" are just fast learners. To master a subject you just need determination whether you were ever called "gifted" or not.